Getting a dental crown? What are your choices? broken. They are also used to cover dental implants. If you are getting a crown (cap) with today’s technology you have 1 of 3 options. porcelain. We have moved on to doing a majority of the crowns in all ceramic; mostly with a material called lithium disilicate (e.max) OR yttrium-stabilized tetragonal zirconia polycrystal (Bruxzir). 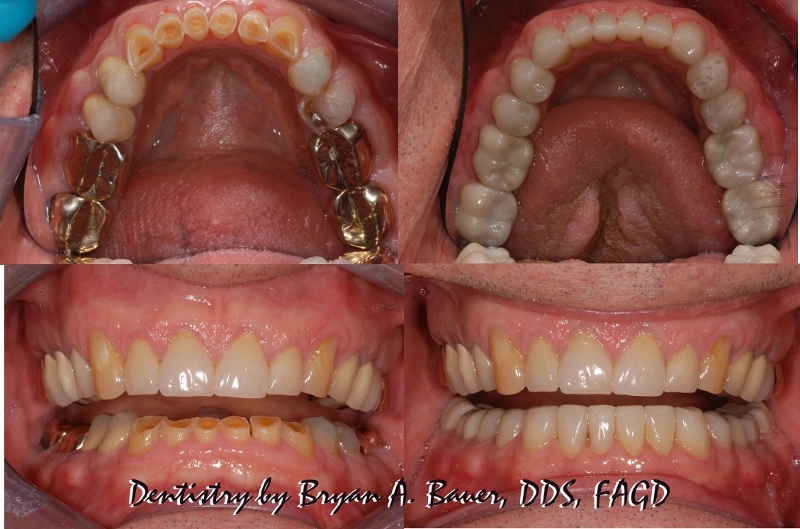 An example of how Dr. Bauer treats a lower jaw today is found in the photo below = Bruxzir crowns on the molars and emax crowns everywhere else. significant number of years. There are four crowns on these teeth. 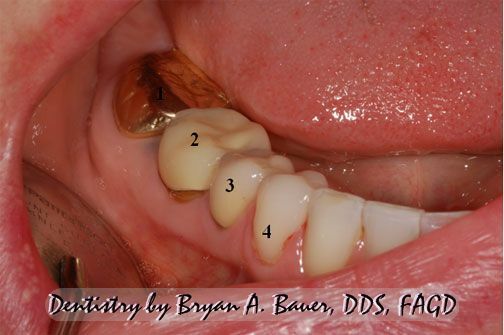 1 full gold crown 2 and 3 are porcelain fused to metal and 4 is all-ceramic (emax).